Personnel performance is one of the key aspects of any successful managerial role. In an increasingly competitive global market, human resources synergy and productivity counts towards the successful running or supporting of a business in a leadership-informed way. 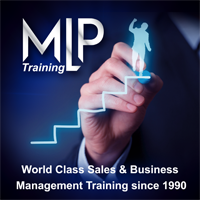 In order to truly master a sophisticated and advanced performance management know-how that is constantly up-to-date with modern workplaces and their needs, formal tuition and training by experts is often the only way to go. Through expert tuition, professionals can focus on areas in which they feel their team can grow and obtain continuous feedback from the guidance of employment psychologists rather than solely from human resources consultants. Advanced skills in performance management, strategic team thinking, workforce potential boosting and employee appraisal strategy and techniques are essential for a professional to lead a team who will thrive and achieve their full potential in the workplace. Performance management courses in London are readily available through both open enrollment programmes and in-house training formats. An advanced and well placed set of employee management skills increases our chances to succeed. Without this vital know-how, we seldom progress to ever more challenging management positions and responsibility. Thankfully, in London there are several options to ensure that this useful skillset is achieved in a formal, theory-backed applied manner: through a targeted course or training programme. The most suitable learning and training option among several performance management courses in London can be found with a little research and preparation. In a city such as London there are numerous opportunities for workforce performance management and employee appraisal skills courses offered by leading universities, colleges and business schools across the capital. High quality performance management training and advanced skills courses abound in London, where one is never far from an accredited training provider or university. The key to choosing the right course is first to seek out a suitable course organisers, with the right endorsments from the industry bodies in their corresponding sector. Through a targeted search a professional can find out what courses are on offer, the duration of the performance management course or training programme they wish to enrol on, and the feasibility of attending classes or seminars after work or at the weekend. A participant can then enrol on performance management courses in London and effectively take steps towards achieving human resources management training skills that will strengthen and empower their team's existing performance capabilities and skills. The right college and course will be able to suit the requirements of most London-based management professionals. Training courses leaders and lecturers, moreover, will advise participants about the best course module options. This way, learning and mastering new relevant skills will become a reality. Enquire about performance management courses in London and achieve full workforce potential and satisfaction under an informed leadership.